Physiotherapy is probably the closest to the Medical Model of body therapy. It is very important I find out all the details of someone’s problem by allowing enough time for the client to explain the problems and symptoms that they are experiencing, to seek clarification where issues may be complex, and overall make the patient feel as though they have been listened to and understood fully. This is called the subjective part of the initial assessment. The next part is the objective assessment; this is when I will ask the client to remove outer clothing (down to underwear, if necessary, so I can see the area that is causing the problem). During this, I will carry out movement tests to find out what the body is telling us about the cause of the problem. Then, based on the results, I will devise a plan to treat the symptoms and, importantly, the cause of the symptoms. The treatment plan is fluid so if the symptoms are not responding to the treatment then the plan will adapt. My goal is to make you feel as comfortable as possible, both inside and out, and to truly understand the reason for the symptoms and what you can do for yourself to keep the symptoms from happening again. Since I qualified in 1992, I have worked in various roles within the NHS and private sector including running my own physiotherapy clinic for 17 years. During this time I gained much experience by helping ‘normal’ people with all sorts of ailments. Crucially what I learned is to ensure that patients feel as though they are understood, comfortable and are taught about why they are in pain and what they can do to help themselves. Over the years I have mainly concentrated on working in Out-Patient Musculoskeletal Physiotherapy, especially owing to my long stint running an out-patient private clinic. The types of conditions I treat are varied; including lower back, necks and any spinal problem. Other areas of experience include knees, shoulder, and ankles. Whilst I have worked as a physiotherapist for some time if I do come across a problem that I can’t treat I will always be honest and explain this. 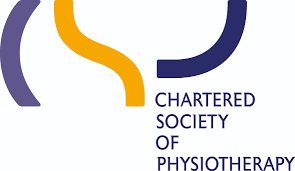 I graduated in 1992 from the Middlesex School of Physiotherapy, with a Diploma in Physiotherapy (which in this year was equivalent to a degree). 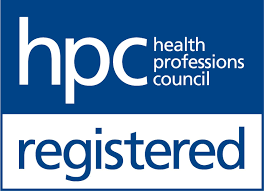 A member of the Health and Care Professions Council, HCPC, (Membership Number: PH45538). Over the years I have attended many post-graduate courses to keep me up to date with correct clinical procedures/methods. I had physio when I was around 16/17years old. Whilst my right hip wasn’t an issue then, I had developed shin splints from taking part in sports activities and was given exercises and advice. From a young age I had always been interested in the human body, so when I needed Physio treatment I realised that this profession was something that I would enjoy, especially as it combined two of my favourite things: helping people and the human anatomy. And I was right. Around 4 years ago I had a total hip replacement. So I understand what it feels like to be constantly affected by the lack of movement and pain. Now I am enjoying the pain-free status of the hip and am able to do all that I would like to do.